They all are buddhas, they just don't tell me, because they feel ashamed, that I am not. About four people really helped me when I had the same question. I got the lung last month in São Paulo. Send me a PM that includes your email and I will forward you a JPEG ( not high res but it will give you the idea) and a pdf of what I have. The mantras are the ones that are typically used in all Kilaya practices. 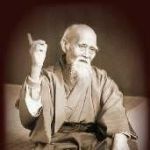 The action mantra is almost the same as the famous razor mantra, but it is slightly different as you will see in the pdf. Is it much different than the Kama Vajrakilaya? Most terma Kilaya's are not much different it seems, maybe slightly different implements in hands, etc. Adamantine wrote: Is it much different than the Kama Vajrakilaya? Most terma Kilaya's are not much different it seems, maybe slightly different implements in hands, etc. Your right, generally they are really similar. My experience is primarily with the form used in the Ratna Lingpa practice, in comparison to the form from Adzom Drugpa's it is quite a bit different. 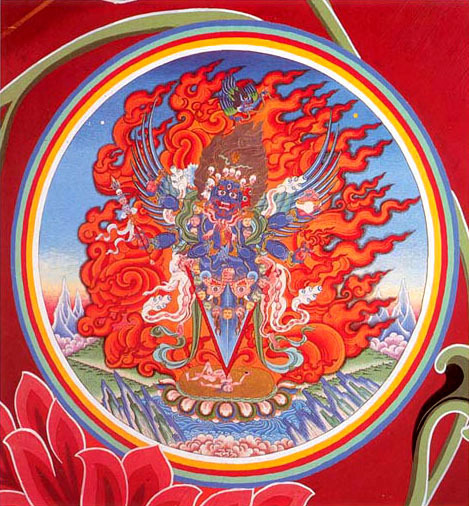 The form of Vajrakilaya in Adzom Drugpa terma is more akin to the description of the supreme sons in the visualization of the external mandala in some of the Kama texts. Having three faces, six arms and a phurba lower half. In this case without consort. 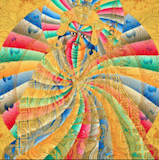 This is the only public image floating online of the Drukpa Kilaya I have ever found. Hi . Please send me too a Vajrakilaya practice booklet if it is possible. I have received the transmission several times, but I couldn't find the booklet so far. Many thanks ! 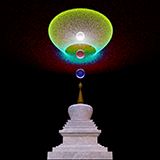 The full sadhana text of the Adzom Drugpa Vajrakilaya from the Secret Vajra Treasury of Clear Light was kindly translated and has been approved by ChNN at my request, after several drafts. Enormous thanks is due to Martin Brown, Cathy Cantwell and Adriano Clemente for helping me to bring it to ChNN as a translation for his approval. It was previously only available in Tibetan. It is now with the SSI for phoenetic tweaking and publication. This may take some time. There is currently no practice booklet for this. There is a handwritten version of the mantras and a description of the deity but this is not the sadhana itself, which comes from the same terma as the Drolod Sadhana and is very similar in style and length etc. I think the handwritten pages in Tibetan are the only ones officially from ChNN, and a few people have from him the Tibetan text of the full sadhana. There may be another translation out there, but not one approved by ChNN in any form. Could someone PM me the hand implements that are being held?